The idea of using ridges to guide the centerboards up and downhaul did not work to my satisfaction. The new aproach is to use fairleads. I made up a few of carbon fibre. Click once or twice to enlarge. 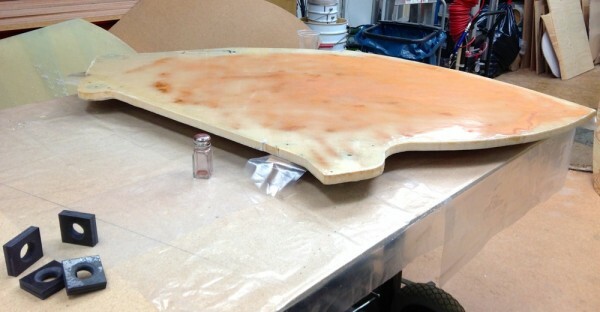 Before I glued them on to the centerboard case I dusted the surface with cupper powder using a salt shaker. The purpose is to reduce marine growth and to make the surface a bit more wear resistance. Below is the fairleads in place. 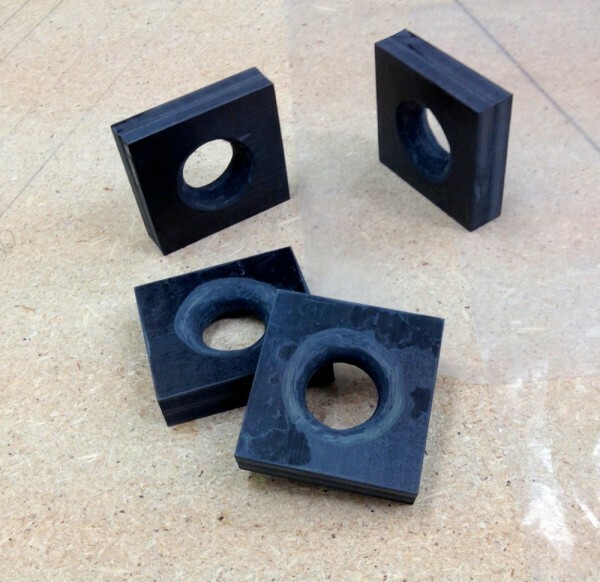 I will make new rollers with a hollow in them so that the line are keept in the middle and be less likely to jam. A jammed line is no good. The rudder arrangement is now working to my outmost satisfaction. Only thing is the stainless steel structure is far to heavy. Therefore I will make a new one of composite surfaces, keeping the same geometry. Once I had that thought I realised that the new structure can have the shape of a tank. A closed surface is strong. The use of a tank way back is to fill it with saltwater running before gales. 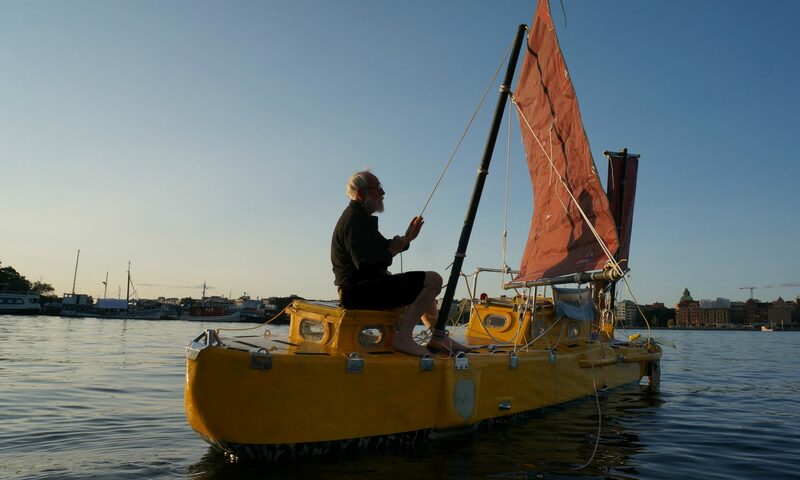 The yellow 15 feet boat I 2011 sailed with to Martinique had mowing ballast in form of lead. I could move them from side to side but also to the very back of the boat. It was a good idea. It also struck me that in heavy rain I could collect extra water to do some washing when the sun later comes out. Also it could cive some extra flotation. The platform is bolted on and therefore its lenght is not measured according to the harmonized standard of the EU:s Recreational Craft Directive, besides few things are more stupid than measuring a boat by lenght, or in fact any volyme by lenght except if they are of the same shape. I take care to make the details good on this boat in order to have experience of them and use them on the next proper small boat.